Zurich: The Swiss authorities have convened a crisis committee set up after the 2008 government bailout of UBS to discuss the possible impact on the big banks of the euro zone debt crisis, the NZZ am Sonntag newspaper reported on Sunday. Citing two unnamed sources, the newspaper said the committee had become active as concerns mount that the problems in the euro zone could trigger a new financial crisis that would spread through the banking sector again. FINMA was not immediately available for comment on the report. The paper cited one source as saying that while UBS and Credit Suisse were relatively well capitalized, it was not clear how quickly this capital could be mobilized to cushion the shock of a serious crisis spreading through the system. The NZZ am Sonntag quoted Raaflaub as declining to comment on the activities of the committee: “A body like the financial crisis committee can only function by definition out of the public eye in such phases." He also declined to comment on particular measures FINMA was taking towards individual institutions, but urged UBS and Credit Suisse to continue building up capital. “On an international comparison, the two banks have an above average amount of capital. But they must further improve the quality of their equity capital," he told the newspaper. “It is no secret that we are encouraging the institutes to reach their objectives faster than is mandatory." 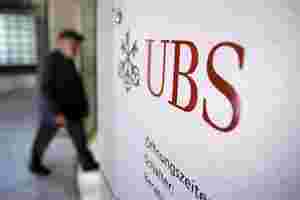 UBS said last week the $2.3 billion it lost in a trading scandal meant its Tier 1 capital ratio would decline slightly at the end of the third quarter from the strong 18.1 % it reported at the end of the previous quarter.